Ever since Bran Stark became the three-eyed raven, he has been creeping us out with his weird cryptic comments. 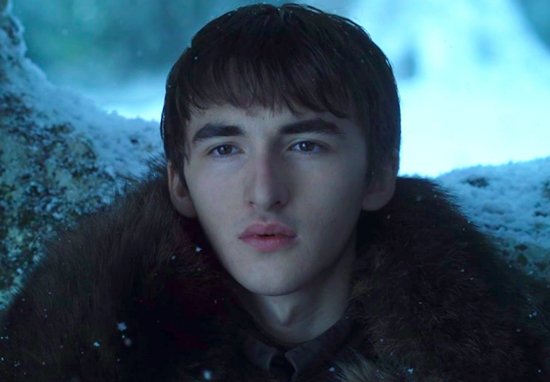 His strange remark to sneaky Petyr Baelish in season 7, episode 4 of Game of Thrones at first simply appeared to be just yet another Bran-ism, but listen again and the words will feel very familiar. Baelish was being his usual manipulative self, trying to edge his way into the trust of the young Lord Stark, just as he had with Sansa when she was in a very vulnerable position. I imagine you’ve seen things most men wouldn’t believe. To go through all of that and make your way home again only to find such chaos in the world, I can hardly imagine. Now, Petyr is a fool if he thinks he can deceive a person who can literally see all the events in the world, past, present and future. Bran doesn’t need to have Varys’s little birds to gather information, he just relies on the powers of his warg mind. Think all the way back to season 3, episode 6, ‘The Climb’. Littlefinger was still scheming his way around King’s Landing, unwaveringly confident in his abilities to influence the realm through his signature brand of cunning. In this episode, he and Varys had a philosophical conversation about the nature of ruling and power. The realm. Do you know what the realm is? It’s the thousand blades of Aegon’s enemies, a story we agree to tell each other over and over, until we forget that it’s a lie. Chaos isn’t a pit. Chaos is a ladder. Many who try to climb it fail and never get to try again. The fall breaks them. And some, are given a chance to climb. They refuse, they cling to the realm or the gods or love. Illusions. Only the ladder is real. The climb is all there is. Not only is this conversation prophetic, it is also extremely revealing of Baleish’s opportunistic outlook on life and the multi-layered, disloyal way he plays the game of thrones. Basically, Bran is letting him know he knows him, warning he cannot hide behind his clever words. Just like Cat and Ned before them, this new generation of Starks are wary of Littlefinger, and with good reason.